16146 Mount Abbey Way #201, Fort Myers, FL.| MLS# 219002584 | Southwest Florida Residential Real Estate for Sale. 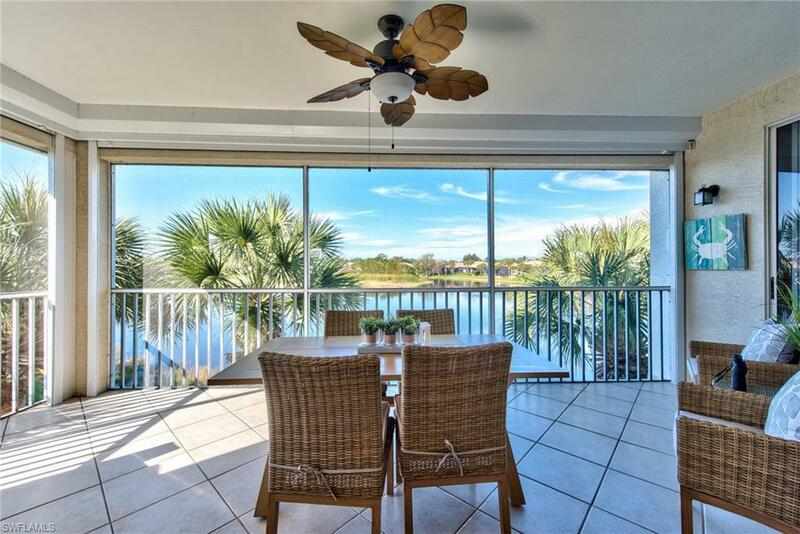 This lakefront view from second-floor lanai is the perfect place to enjoy morning coffee or breathtaking sunsets! Pocketed glass doors open up to your massively open living area (perfect for hanging out with the family or enjoying cocktails with friends). Kitchen offers stainless steel appliances and impressive granite countertops. No detail was spared in this incredibly upgraded unit: custom-built wooden stairs and railing that you wonât find anywhere else, crown molding throughout, tray ceilings, and chair rails. The master suite is amazing with the lake-view and en-suite bathroom that has dual sinks, a soaking tub and seamless glass shower. The additional bedrooms are huge and could easily be set up as a family room or office. Motorized storm screens and hurricane windows keep you protected - Crown Colony is home to an optional, award-winning golf course and country club, four Har-Tru tennis courts, well-equipped fitness center, and massive community pool. Your new home is in the perfect location â convenient to beaches, Sanibel island, Captiva, shopping, restaurants, and the airport. This unit is perfect for both full-time residents or those looking to escape the cold winters!